It is an experience, it gives you a mean to change, to be protected and balanced, it lets you get in touch with your inner self and it enables you to get in touch with THE SOURCE. A Pillar of Light is a Crystal in the shape of a Dodecahedron (a ball with 12 sides and each side has got 5 edges). Within the Crystal a Source Code is placed which generates a certain energy. It depends on the Source Code what the purpose of the Energy will be. Because of the Natural Shape of the Dodecahedron the Frequency of the Energy of the Source Code will be amplified to a very high level. The Frequency of the energy in the room where the Crystal is placed will change and vibrate in Sync with the Energy of the Crystal which is generated by the Source Code. All rooms connected to the room with the Crystal will start vibrating with the same frequency as the Crystal and in a very short time the whole house will bath in the same wonderful and strong energy of the Pillar of Light. In the beginning of 2016 the first Source Code was given to us together with the information that the Source Code needed to be placed within the Pillar of Light. The World is changing, the people within this world are changing and the time has come that we receive help to make this change possible. At this point we didn’t know what the Pillar of Light was going to be or be capable of doing but the moment we received the first sample we knew that something divine was given to us. The First Pillar of Light is created to energetically balance and protect you and the house from all the big energy shifts that are all around us. 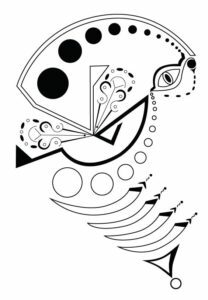 It doesn’t take away the shifts but it will flatten the highs and the lows to a more bearable frequency so you will not feel out of balance all the time. The shape of the Dodecahedron and the extra activation made by the Code will raise the connection you have with your higher awareness to a much higher level. You and the house, where the Pillar of Light is placed, will be protected against negative energies of all kind. Stress energy build up by a days work or other stressful moments will be balanced out, you will get back into your own strength quickly after being in the surroundings of the Pillar of Light. Its power lies in its simplicity, just place the Pillar of Light in your home and put the Dodecahedron on its base and there is nothing you need to do further . Now almost 2 years later we are ready to receive the second Source Code. The New Source Code brings you in the HERE and NOW. 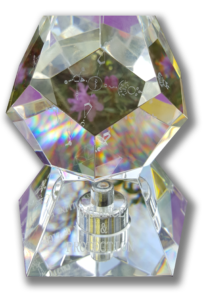 The Pillar of Light is a 3D engraved crystal in the shape of a Dodecahedron. 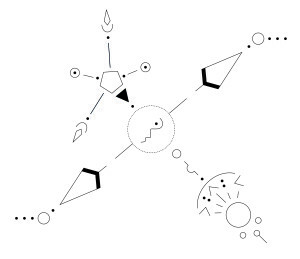 The Dodecahedron is connected to the element Ether (also known as Prana, 0-zone, or Tachyon). The secret knowledge of Ether is “as above, so below”. You must live out your cosmic blueprint on Earth. All higher dimensions, including your Divine State of Oneness, are integrated into your Earthly life. This means, you are EVERYTHING! You are the angels, the Gods and the light masters You are one with the Source. The photos on the right have been taken with a special camera which captures the energetic field, also known as aura, of a person. The photos also show the state of the 7 major chakra’s at the moment the photos were taken. The photo above is taken without the Pillar of Light. The energy of the chakras are more diffused. 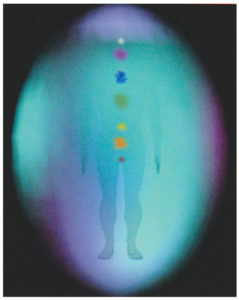 The aura field shows a person which is caring, sensitive, helpful and intuitive. The photo above is taken with the Pillar of Light in the room. 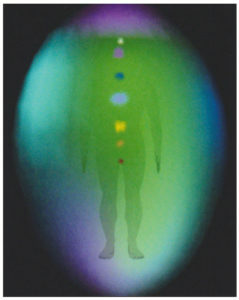 The aura field shows a person which is strongly connected with his or hers higher awareness and the universe, there is more love in the aura which helps with protecting and loving yourself on a higher level, the blue on either side of the person is there to create a clear spiritual communication. 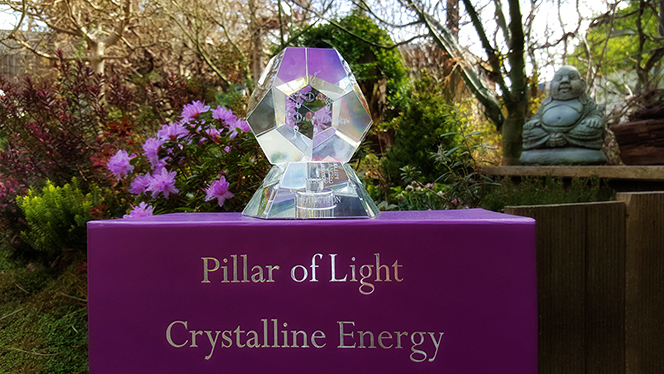 To strengthen the bound between you and the Pillar of Light and to connect you directly to the Crystalline Energy you can also get the Crystalline attunment. This Crystalline Attunement connects you directly to 22 combined energies and after the attunment you can enjoy straight away of all benefits the Crystalline Energy has to offer you.